Observation - Foliose lichen - UK and Ireland. Description: 2 varieties of flat, leaf-like lichen which were found on the top and side of a west, facing red brick wall no older than 12years. 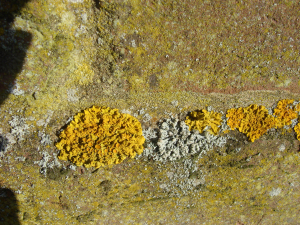 2 varieties of flat, leaf-like lichen which were found on the top and side of a west, facing red brick wall no older than 12years.